6.2 x 6.6 x 3.3 in. Exclusive! Save $25 on this camera! Sure, it's big, it's heavy, and it's expensive, but the Canon 1DX Mark II is the best Canon DSLR for sports, action, wildlife, or photojournalism. The 20MP resolution is a slight increase from the earlier 1DX, but it might not suit those commercial photographers who need mountains of megapixels. However, for everything else, the Canon 1DX Mark II's images are right on the money. Images look great, and dynamic range is excellent. High ISO performance is also top-notch, and the versatile autofocus and incredible burst shooting performance will not disappoint or slow you down. Excellent image quality, especially from RAWs; Fantastic high ISO performance; Fast autofocus with great tracking performance; 14fps burst rate; Amazing buffer capacity; 4K 60p video; Robust build quality. Very heavy, bulky and expensive; Dual memory card slots use different formats; 29:59 continuous video recording limit; Touchscreen feels underutilized. Available since April 2016, the Canon 1DX Mark II has an estimated retail price of US$5,999 for body-only, which is a sizable reduction compared to the original 1DX's $6,799 launch price. 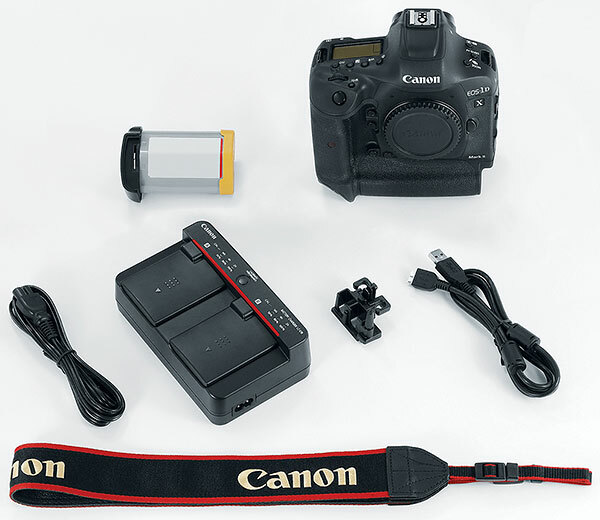 Canon also offers a "Premium Kit" configuration for an MSRP of US$6,299 that includes a 64GB CFast 2.0 card and USB 3.0 card reader. Sporting a newly developed 20.2-megapixel full-frame CMOS sensor, the 1D X II offers a slight bump up from the 18MP resolution of the original 1D X and is similarly spec'd in that regard compared to its major competitor, the 20.8-megapixel Nikon D5. The Canon 1D X II features a fixed optical low-pass filter on the image sensor to help guard against moiré patterns and other aliasing artifacts. Coupled with a pair of all-new image processors, the new DIGIC 6+ to be exact (up from the dual DIGIC 5+ setup of the 1D X), the new "Mark II" version can chew through full-resolution images at up to 14 frames per second (up from 12fps) with auto exposure and predictive autofocus when using the optical viewfinder. And photographers can push the speed even faster up to 16fps when using Live View (an increase from 14fps on the original model), although we had trouble testing this in our lab. This new sensor and processor setup also offers improved expanded ISO capabilities. While the native sensitivity range remains unchanged at ISO 100-51,200, the Canon 1D X II offers a higher expanded ISO up to ISO 409,600. According to Canon, a priority was put on capturing and resolving better shadow detail with higher ISOs. The new sensor and processor also display better dynamic range and color noise characteristics over its native ISO range than the original 1D X, especially at low to moderate ISOs. The Canon EOS-1D X Mark II also brings over the flicker detection system of the 7D Mark II, which helps avoid differing color and exposure within a frame, or during a burst of frames. Though usually imperceptible to the human eye, cameras can often catch the on/off cycle of certain types of artificial lighting, especially when shooting a fast burst of continuous frames. The Canon 1D X II can detect and subtly adjust the timing between each continuous frame in order to capture shots at the optimal lighting level. For sports photographers, particularly those shooting indoor sports under artificial lighting, being able to avoid poor exposures due to flickering lights is a very helpful feature. Top-notch autofocus performance is a crucial feature of Canon's 1D-series cameras, and the new 1D X Mark II offers a number of improvements, including the reintroduction of a past feature thanks to user demand. The Canon 1D X Mark II builds upon the 1D X's 61-point AF system with an expanded AF point coverage area. And similar to the earlier Canon 6D, the 1D X II's central AF point is sensitive down to -3EV (the AF working range is spec'd as -3 to 18 EV at 23°C & ISO 100) -- an increase from -2EV of its predecessor -- which allows the 1D X II to autofocus in exceptionally dark conditions (think moonlight-level of darkness). 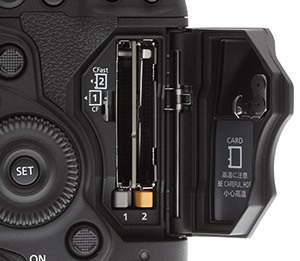 In the original Canon 1D X, all 61 of its AF points were sensitive down to apertures of f/5.6 and only a center AF point (with four expansion points) was sensitive at f/8, but now the new 1D X II offers focusing down to f/8 for every AF point -- excellent news for users of long telephoto lenses and teleconverters! The Canon 1D X II AF system has a total of 41 cross-type AF points in its array with five dual cross-type AF points, 20 cross-type AF points down to f/4-5.6, 21 cross-type AF points at f/5.6, and 20 horizontal-line sensitive AF points at f/5.6. The camera also features a new and improved AI Servo III+ predictive autofocus algorithm, which aims to improve speed and accuracy for fast-moving subjects. Additionally, the EOS iTR (Intelligent Tracking and Recognition) system has been improved thanks to the 1D X Mark II's all-new 360K-pixel RGB+IR metering sensor (a first for a 1D series camera). The refined iTR system, which uses face recognition and color information to enhance AF tracking, should offer improved precision and better tracking performance compared to the earlier 1D X. There are a total of seven AF point selection modes, including two AF point expansion options with either four points surrounding a central point or eight surrounding AF points. There are also two Zone AF configurations, a smaller nine-segmented mode or a Large Zone AF option with all points divided into three large groups of active AF points. ...and red AF points in the viewfinder are back! Though it may seem like small change, many pros clamored for their return and Canon obliged -- red AF points are back! Through the viewfinder, red-colored AF points can now be set visible at all times, and at two adjustable brightness levels. The original 1D X had visible yet black-colored AF points in the viewfinder (they only illuminated red when adjusting the AF point). The AF point(s), however, remained black or non-illuminated during normal shooting, which could make them difficult to see, especially in darker shooting conditions. The reintroduction of red illuminated AF points is, therefore, a welcomed change. Normally reserved for post-processing after the fact on a computer for Canon EOS cameras, the new 1D X Mark II has a built-in Digital Lens Optimizer function. Borrowed from Canon's Digital Photo Professional imaging software, the 1D X II can now apply lens-specific diffraction compensation as well as chromatic aberration correction, distortion correction and peripheral illumination correction in-camera. This is potentially a big time-saver for the professional photographer, especially news and/or studio photographers who often rely on delivering finished files directly from the camera and soon after capture. As part of the 1D X II's in-camera RAW processing, DLO corrections can be applied during JPEG conversions, which is a much faster workflow than dumping memory cards of images, sorting and then converting RAW files into images using a computer. All four types of lens aberration corrections can also be applied to JPEG files as the images are being shot. The 1D X II also features Canon's Fine Detail Picture Style as first seen on the 5DS and 5DS R. This real-time option lets you sharpen JPEG images similar to how unsharp mask works in Photoshop, with much superior results than the default Canon sharpening algorithm. In an interesting shift compared to the 1D X, the new 1D X Mark II features one UDMA 7 CompactFlash Type 1 slot and one CFast 2.0 slot rather than dual memory card slots of the same type. The newer CFast-format memory cards, according to Canon, are seeing faster adoption rates in the marketplace compared to other high-performance storage formats, such as XQD memory cards for example. The use of CFast 2.0 memory cards in the 1D X Mark II, given their much faster read- and write-speeds, therefore allow for increased performance for stills and video capture. The updated 20-megapixel full-frame sensor in the 1D X II is more than just a standard CMOS chip with a higher resolution; it's the first full-frame sensor with Canon's Dual Pixel CMOS AF technology. Dual Pixel CMOS AF with its on-chip phase-detect autofocus sensors not only helps for super-quick autofocusing for Live View still image shooting, but also for quick, accurate and smooth AF operation for videos. jump over to our special in-depth look this technology from our Canon 70D review. Video recording has been a staple of EOS cameras for years now, and despite being a flagship EOS camera, the original 1D X was still lacking on a few sought-after video features. A prime example being, if you needed video resolutions beyond 1080p, you needed to jump to the pricey Cinema EOS line with either the similarly-sized 1D C or the top-of-the-line C500 video camera to get 4K video recording. With the Canon 1D X Mark II, you can now shoot Cinema 4K video (4096 x 2160 aka DCI 4K) at up to 60fps, which is great for high-resolution footage of not only action, sports and other moving subjects, but also pretty much anything else. The camera also offers DCI 4K video at 30fps (29.97), 24fps (23.98) and true cinema-centric 24.00fps. (PAL frame rates of 50p and 25p are also available.) Interestingly, there's no UHD (3840 x 2160) option. 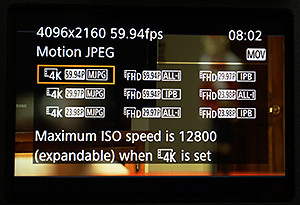 4K video is captured in Motion JPEG format, for all frame rates, and offers a high-quality bitrate of approximately 800Mbps for 60p and 500Mbps for the lower framerates, according to Canon's specs. Given the high data rates for 4K/60p footage, Canon recommends using CFast memory cards for 4K capture. The 1D X II also offers a 4K Frame Grab option in Playback mode, which allows you to pull 8.8-megapixel still images from a 4K video. For 1080p video, the Canon 1D X Mark II is capable of a slow-motion-friendly 120fps, making it an even more capable camera for a variety of filming scenarios. The 1080/120p video mode is only offered in .MOV format with ALL-I compression for the best possible image quality (approximately 360Mbps bitrate). All other 1080p video framerates in MOV mode are offered in ALL-I or the space-saving IPB compression schemes. Full HD video is also available in the standard array of slower framerates, from 60fps (59.94) down to 23.98fps (and true 24.00fps for cinematic work, as well as PAL options). Mobile device- and web-friendly .MP4 video is also offered at 1080p resolution in a variety of frame rates from 60p to 24p (and PAL) with IPB compression. IPB Light compression (approx. 12Mbps) is also available for 1080/30p (or 25p) video. 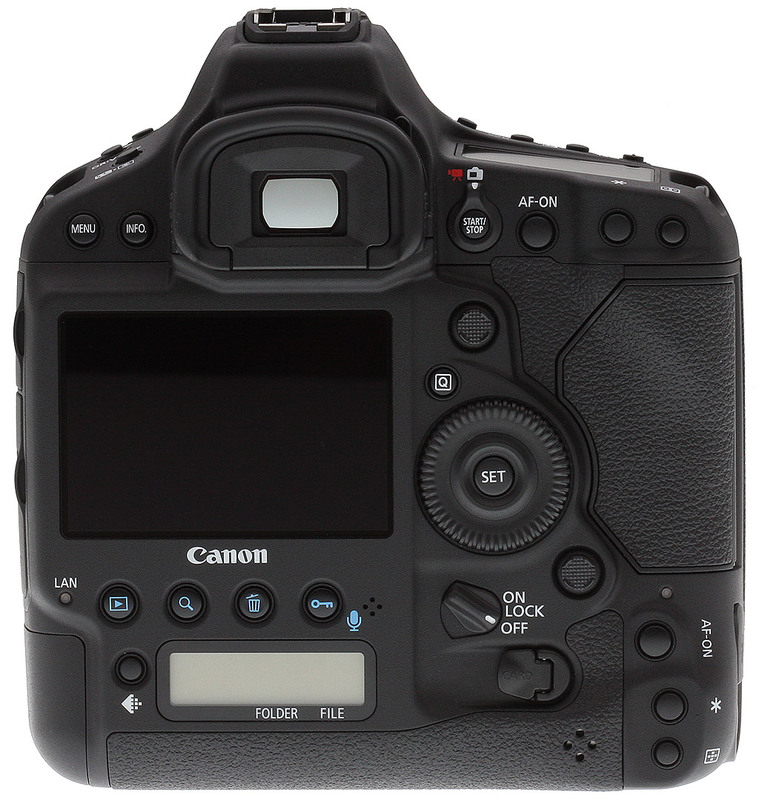 Although some pro-level video features like focus peaking or zebras are still not available, and video recording to an internal memory card has a maximum time limit of 29:59 per clip, the Canon 1D X II does offer clean, uncompressed 4:2:2 HDMI out with audio (with no time limitation when not recording internally), but only at Full HD resolution. Simultaneous internal recording at up to 4K and 1080 HDMI streaming is however possible. Plus, in addition to the stereo microphone input seen on the original 1D X, the "Mark II" now also features a 3.5mm stereo headphone jack, which can be used to monitor audio during video capture. As with other 1D-series cameras, the Canon 1D X Mark II is as rugged as they come for an EOS DSLR, and the build quality is top-notch. The camera is built around a durable magnesium alloy chassis that features the highest level of dust and weather-sealing that Canon offers on an EOS camera with higher-grade environmental protection than the 5D- and 7D-series cameras. 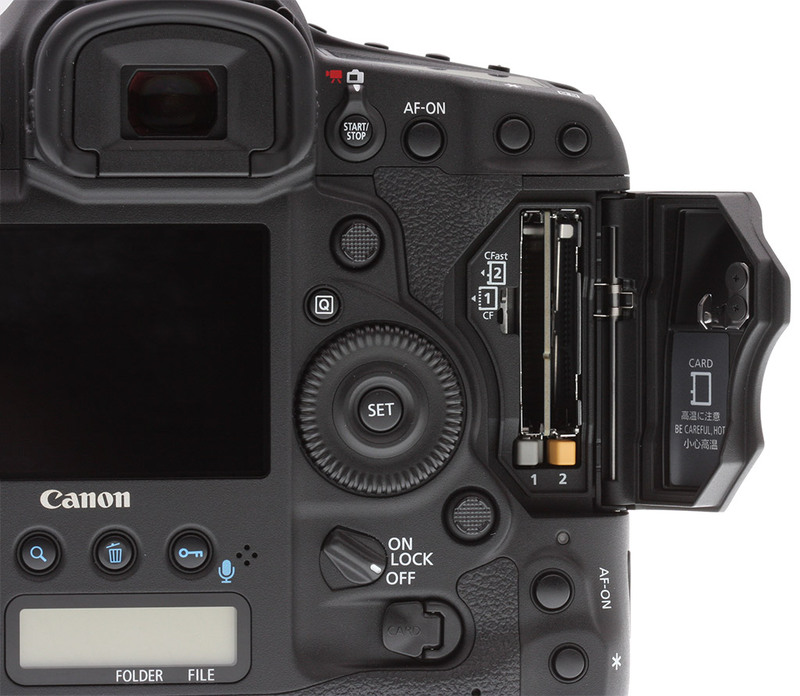 The Canon 1D X II even has a mag-alloy mirror box, and its shutter mechanism is rated for 400,000 actuations -- with a built-in shutter counter like the earlier 1D X. The look and feel of the Canon 1D X Mark II is classic 1D-series quality. Yes, the camera is heavy at about 3.4 lbs (1.53 kg) body-only, but its characteristic "built-like-a-tank" construction ensures it can withstand the wear and tear of daily use that a professional photographer or videographer will throw at it. This camera is built to last. And though it may look like another 1D-series camera, there are a few small but notable new features that are making their way to a 1D-series for the first time. One minor tweak to the external design is a slightly thinner handgrip. 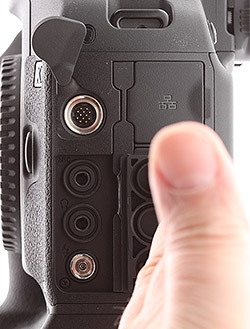 The camera's characteristic full-size handgrip with integrated vertical grip can make for a rather thick handgrip, which can be a bit cumbersome for users with smaller hands. Canon tweaked the design of the grip to be slightly thinner, making it easier to wrap your hand around the camera. It's a very subtle change, but when comparing the 1D X II to the original side-by-side, the new design is noticeable and quite nice -- it's not drastic enough to negatively affect users with larger hands, in our opinion, but it simply makes the camera all the more secure in the hand. Moving to the rear of the camera, the Canon 1D X Mark II is the first 1D-series model to feature a touchscreen LCD. The 3.2-inch TFT LCD display features 1.62-million dots of resolution and seven levels of brightness adjustment. The display is fixed, and not articulated in any way for the sake of durability (we're told the touchscreen capability itself has no effect on durability of the screen). In use, the touchscreen works very well. It's very responsive and tap-to-focus to select new focus points and set subject-tracking all works smoothly and easily. While many other touchscreen-capable cameras, including Canon models, usually allow for the use of the touchscreen to operate a number of functions including navigating menus and changing settings, the 1D X II opts for a much more simplistic approach. The touchscreen is only active when selecting an AF point during live view shooting or in movie mode, otherwise the touch functionality is disabled. 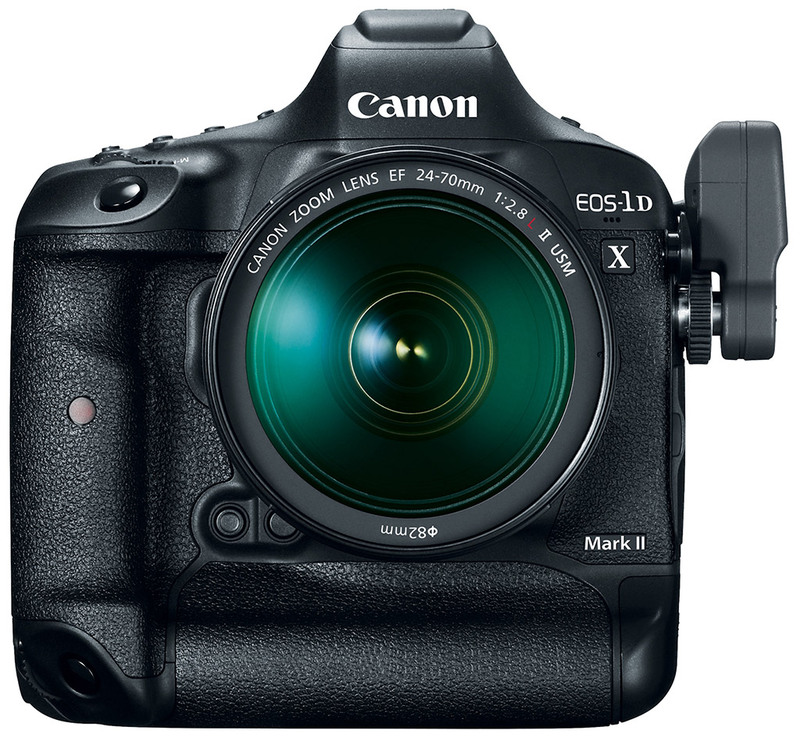 For long-time 1D owners, the standard Canon menu system and UI are operated just as before with physical controls -- so picking up the 1D X Mark II should feel right at home for those accustomed to its predecessor. 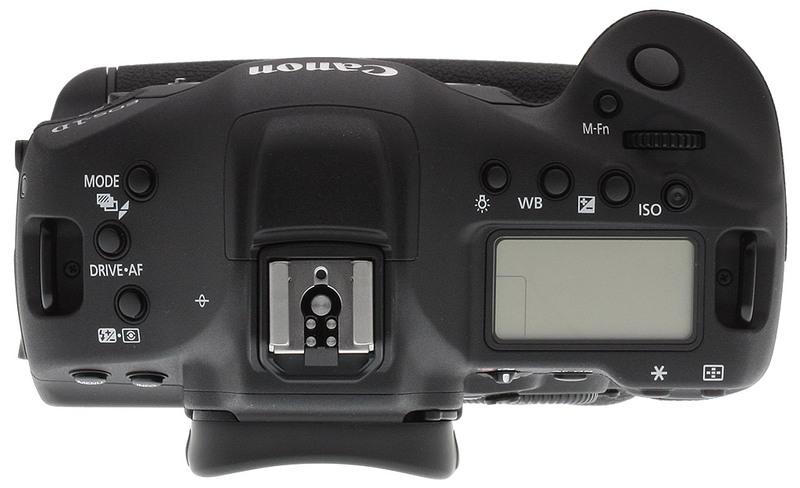 Brought over from the 5DS and 5DS R cameras, users of the "Q" Button for Canon's Quick Control interface now gain the ability to customize this layout and what settings and other information are displayed. Looking at the top of the camera, one will certainly notice the small "hump" at the top of the pentaprism housing. This is for the 1D X Mark II's new built-in GPS receiver. In a professional workflow, GPS functionality can be quite useful. For instance, for wildlife photographers and photojournalists, GPS metadata can help keep track of locations. Sports photographers can sync multiple cameras more easily and accurately. Users can even automatically sync their cameras' time with the GPS system's atomic clock. In professional shooting scenarios, such as press and event photography in particular, where metadata is critical for editors, wire services, and for simple organization, the addition of GPS functionality can be a nice benefit. Though there isn't built-in Wi-Fi connectivity, the 1D X Mark II debuts with an updated wireless transfer accessory called the WFT-E8 (seen in the above image). This small optional accessory now offers 802.11ac wireless connectivity for faster transfers of photos and videos to connected mobile devices using Canon's Camera Connect app (iOS/Android). For wired connectivity, there are upgrades in this area as well, as the camera now includes a USB 3.0 port rather than USB 2.0. There's also a built-in 1000BASE-T Ethernet port. Other minor exterior tweaks include a wider, easier to operate multi-direction joystick button on the rear of the camera and a new Live View/Movie Mode toggle switch, which is similar to that on the 5D-series and 7D-series cameras. 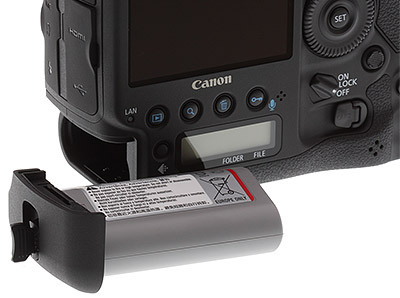 The Canon 1D X Mark II comes with a new rechargeable lithium-ion batter pack, the LP-E19. Similar in shape to the 1D X battery pack, older batteries from earlier 1D X cameras are compatible in the 1D X II, but not vice versa. According to CIPA testing, when using the optical viewfinder, the 1D X II's battery should allow for between 1020-1210 or thereabouts (depending on the ambient temperature). Battery life drops dramatically though for Live View shooting, with approximately 240 shots per charge at 32°F (0°C) or 260 shots at 73°F (23°C). 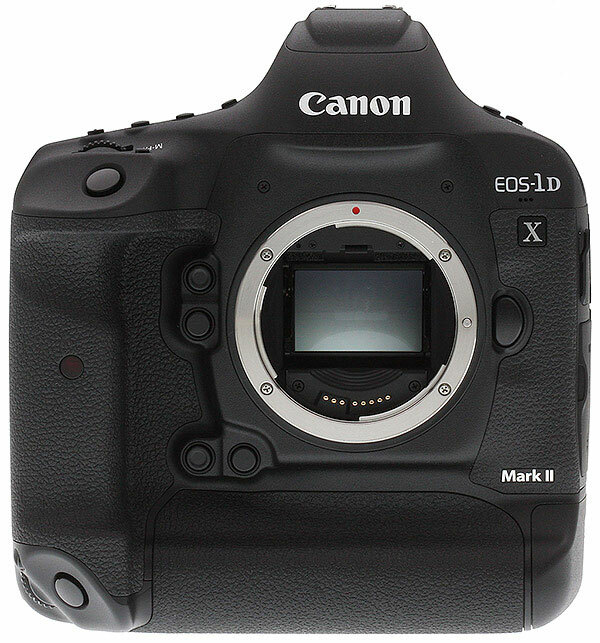 As with the previous 1D X, the Canon 1D X Mark II is sold body-only. Available since April 2016, the Canon 1D X Mark II has a retail price of US$5,999, which is a sizeable reduction compared to the $6,799 launch price of the original 1D X. Canon is also offering a "Premium Kit" configuration for an MSRP of US$6,299 that includes a 64GB CFast 2.0 card and card reader. As a long-time Canon user, I've had a chance to use a number of different Canon cameras, including a brief time with a beat-up, old 1D Mark II N that I purchased as a backup camera. Most of the time, though, I've stuck with smaller cameras, like the 7D and 5D Mark II. The old 1D Mark II N was big, heavy, had an outdated battery and tiny, low-res LCD screen, but it was built like a tank, had fantastic autofocus and still took excellent photographs for what was then about a six year old camera. Since that time, I sold off that trusty 1D and haven't had the need for a $5-6K 1D-series professional DSLR for my personal, non-professional photographic pursuits. As a now-hobbyist photographer, a 1D-series camera is way more camera than I need, but when it came time for us to review the new 1D X Mark II camera, you better believe I jumped at the chance. Being Canon's latest and greatest flagship camera, one designed for lightning-fast performance and speedy AF, I wanted to test the 1D X Mark II under more appropriate conditions than what I typically go for. Cue a handful of emails requesting media credentials for a variety of local sports teams. 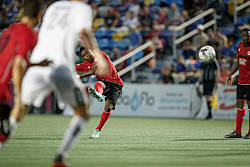 So, for this first installment of our Canon 1D X Mark II Field Test, in addition to discussing my take on the camera's handling and design, I put the 1D X Mark II to the test photographing both soccer and rugby, which offered a variety of fast-paced, fairly unpredictable subjects. The flagship heads out of its element in beautiful Newport, Rhode Island! In our first Field Test of the Canon 1D X II DSLR, my colleague William Brawley put this pro shooter through its paces, giving it quite a workout at rugby and soccer games and scoring some really great shots. In the process, Will confirmed that this camera really lives up to its billing with great ergonomics, oodles of scope for customization, and absolutely blazing performance in general, especially in the autofocus and burst capture departments. He also came away thoroughly impressed by the 1D X II's image quality. We could pretty much have left it at that and wrapped our review as was, but a superb shooting opportunity presented itself that would give us the chance to see how the 1D X II took to some rather less fast-paced subjects. At a press event in Rhode Island, Canon gave journalists including myself the chance to shoot alongside accomplished round-the-world sailor, pro photographer and Canon Explorer of Light Onne van der Wal, whose jaw-droppingly beautiful marine imagery is equally at home in a glossy megayacht brochure or hanging on an art gallery wall. And as well as the opportunity to learn from Onne's considerable nautical photography experience, we also had access to boatloads of high-end Canon glass, not to mention various accessories for use with the 1D X II. Here we present crops from our laboratory Still Life target comparing Canon 1D X Mark II image quality to its predecessor, the 1D X, as well as to its closest competitor, the Nikon D5. We've also included the Canon 7D Mark II and Nikon D500, since they offer the top frame rates currently available from pro-level Canon and Nikon APS-C DSLRs (~10 fps), as well as the Samsung NX1, which is capable of 15 fps. NOTE: These images are from best quality JPEGs straight out of the camera, at default settings including noise reduction and using the camera's actual base ISO (not extended ISO settings). All cameras in this comparison were shot with our very sharp reference lenses. Clicking any crop will take you to a carrier page where you can click once again to access the full resolution image as delivered straight from the camera. For those interested in working with the RAW files involved, click these links to visit each camera's respective sample image thumbnail page: Canon 1D X II, Canon 1D X, Canon 7D II, Nikon D5, Nikon D500, and Samsung NX1 -- links to the RAW files appear beneath those for the JPEG images, wherever we have them. And remember, you can always go to our world-renowned Comparometer to compare the Canon 1D X Mark II to any camera we've ever tested! How will your photos look on paper? Print quality and image quality are similar but not identical, because what you see on a print isn't always the same as what you see on the screen. Our print quality analysis answers the important question: "Just how big can I print my photos at higher sensitivities?" The Canon 1D X Mark II manages a fantastic showing in our print department, despite packing a modest 20-megapixel full-frame sensor that's obviously designed for speed rather than resolution. 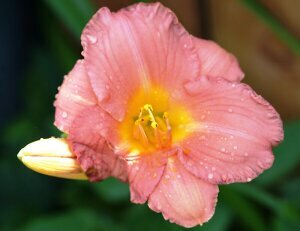 It certainly won't get any awards for sheer resolving power, considering the 36-50-megapixel full-frame cameras out there today, but it nevertheless manages some surprisingly large prints -- up to at least 30 x 40 inches -- at up to ISO 400. As ISO sensitivity rises, the 1D X II remains thoroughly impressive, even managing a nice 11 x 14 inch print all the way up to ISO 12,800. Even when the ISO reaches six digits, the Canon 1D X II is able to make a usable print, a 4 x 6 at ISO 102,400. However, the top two ISOs beyond this should be avoided for prints, as they are just too noisy. As Canon's top-of-the-line DSLR, the updated 1DX Mark II is brimming with the high-performance features that professional photojournalists, sports and wildlife photographers, as well as deep-pocketed advanced enthusiasts, demand. As the latest iteration of Canon's professional flagship 1D-series camera, the 1DX II sports a lot of new features, including a brand new 20MP full-frame sensor, a pair of faster DIGIC 6+ image processors, a quicker 14fps continuous burst rate, and an improved 61-point autofocus system with f/8-capable focusing at all AF points. The Canon 1DX Mark II is a serious camera -- big, bulky and expensive, but full of the latest and greatest EOS technology. However is this pricey pro camera all that it's cracked up to be? The Canon 1DX Mark II gains a bit of image resolution over its predecessor, going from an 18.1-megapixel to a 20.2-megapixel full-frame CMOS sensor. Though it doesn't offer the resolving power of smaller, pro-level DSLRs like the 5D Mark IV and, of course, the 5DS/R -- or even the consumer-level 24MP Rebel T6i/T6s -- the Canon 1DX Mark II is closely matched to its biggest rival, the 20.8-megapixel Nikon D5. Given the high resolution and large file sizes of the 1DX Mark II, 32GB is a good tradeoff between cost and capacity. If you plan to capture high-definition or 4K movie clips, shoot image bursts, or shoot in RAW format, opt for the fastest cards you can afford (Canon recommends CFast cards for 4K video recording).